Monomood was born in a small village near to Dresden in the mid 80thies. Since more than 10 years he lives in Berlin. As an artist he is difficult to categorize. What is it? Techno? House? Drum and Bass? Or maybe Dubstep? What about a quantum Funk or Ambient? Well, actually, it’s always a bit of everything – but it’s always new and fresh. It is hard to find the leitmotif, and yet there is one: quality. After dwelling on the Drum and Bass station for a while, it is most accurate to say Monomood has taken off into the future: the wide cosmos of dubby Techno sounds. His vinyl debut “Oktrosis” on Etui Records, carries us into the complex world of echoed chords and spacy Delays. He tried to take the listener on a journey starting at relaxed Dubtechno sounds with that old detroit feeling, than traveling along modern rhythms with punchy chords and stop by at cold and crunshy techno sounds. 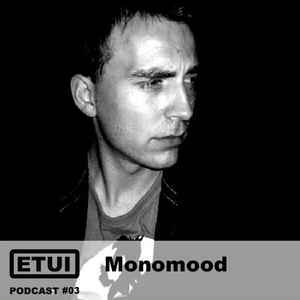 The travel ends with two of Monomoods own tracks wich carry a liquid atmosphere and melancholic vibes.